This 300 meter train line (!) serves Vatican, but is closely guarded, blocked by metal doors and walls. 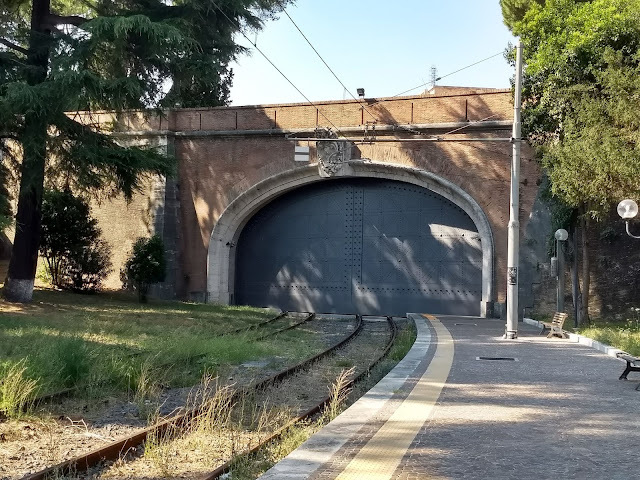 Rail access to Vatican was granted by the Lateran Treaty, but it is rarely used today except for goods and occasional tourist services. This must also be the shortest national railway system, and with just one station!